> News Case Studies Top of Todmorden! 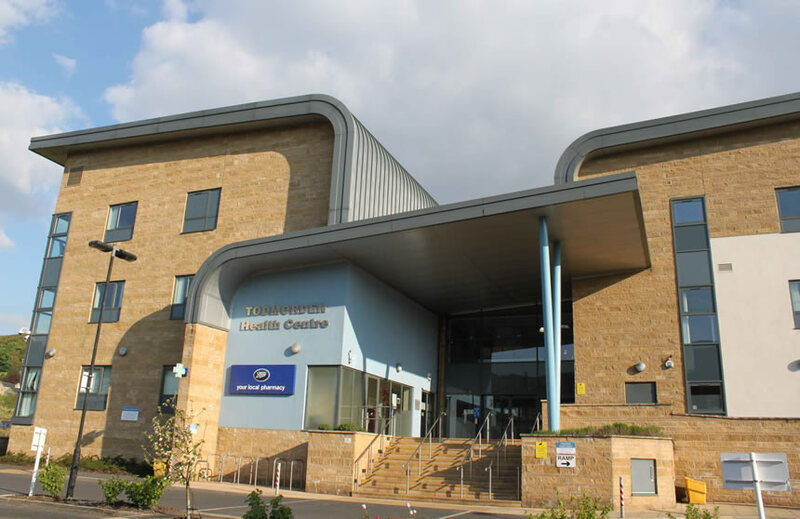 Quantec, C-TEC’s cost-effective and versatile addressable call system, has been installed at a £10 million health facility in Todmorden, Yorkshire. Specifically designed to safeguard personnel working in healthcare facilities, Quantec is at the heart of communications at the centre, which offers high demand hospital services including X-rays, blood tests and surgical outpatient facilities and is home to the area’s community nurses, GP services and dental practice. Each consultation room is equipped not only with a call-point to trigger standard calls, but also a special panic button so occupants can raise an alarm should an attack take place or an emergency situation arise. The four reception areas in the three-storey building are equipped with emergency call-signaling strip-switches fitted discreetly underneath reception desks to allow staff to call for assistance quickly and easily using a finger, fist, foot or elbow. Standard/non-emergency calls are confined to the storey of the building on which they are made to alert the relevant staff only and not disturb staff on other floors. For example, a call made on the second floor will be reported to the second floor only and a call made on the first floor will be reported on the first floor only, and so on. However, if an emergency or attack call is made, the system will go into full alarm and the call will show on every display throughout the entire building. C-TEC’s SigTEL disabled refuge system is also in operation at the site. In the event of an emergency, SigTEL facilitates effective two-way communication between building management and people located in the refuge area to, firstly, assist rescue teams in determining where assistance is required and, secondly, to reassure people help is on the way. A range of C-TEC PDA range hearing loops have also been installed to ensure the hard of hearing can access to the services provided at the centre.